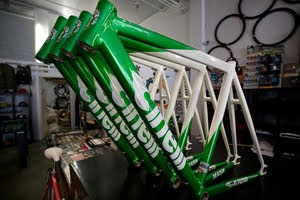 HARUFIXED: Cinelli Mash in Green!!! Green MASH frames are now in stock in all sizes. Grey will be available mid-June. Do you still have these frames in stock? (green & white with graphics) I am very interested in purchasing this frame that you are mentioning above..